The path to this recording was long, windy and fascinating. It started with the awareness that the cello suites provide exceptional playing material for saxophonists. But I long felt that for playing Bach on the saxophone, only the light-sounding soprano saxophone would do—which was, I believed, incompatible with the instrument for which the suites were written. During preparations for my previous CD recording of Bach’s partitas for violin (Challenge Classics, CC 72648), I discovered that the alto sax—fitted with an old-style mouthpiece—could reproduce the refined articulation of the violin. Vintage mouthpieces represent the sound ideal of days gone by. Then came the idea to play the suites on six different saxophones, each of which holds a unique place in the history of the instrument. After that, much time went into working out a usable assignment of transpositions and an appropriate choice of instruments, the resulting sound character being the deciding factor. Dear Maria, This is a Hybrid SACD, which you can play on a Super Audio CD player and a normal CD player..
"For those who are familiar with the cello performance of the suites, it will be amazing how close Hekkema comes to the sound of the cello without losing the characteristic saxophone sound. For the non-connoisseurs, enjoy this beautiful music and let yourself be carried away by these serene sounds of Johan Sebastian Bach." 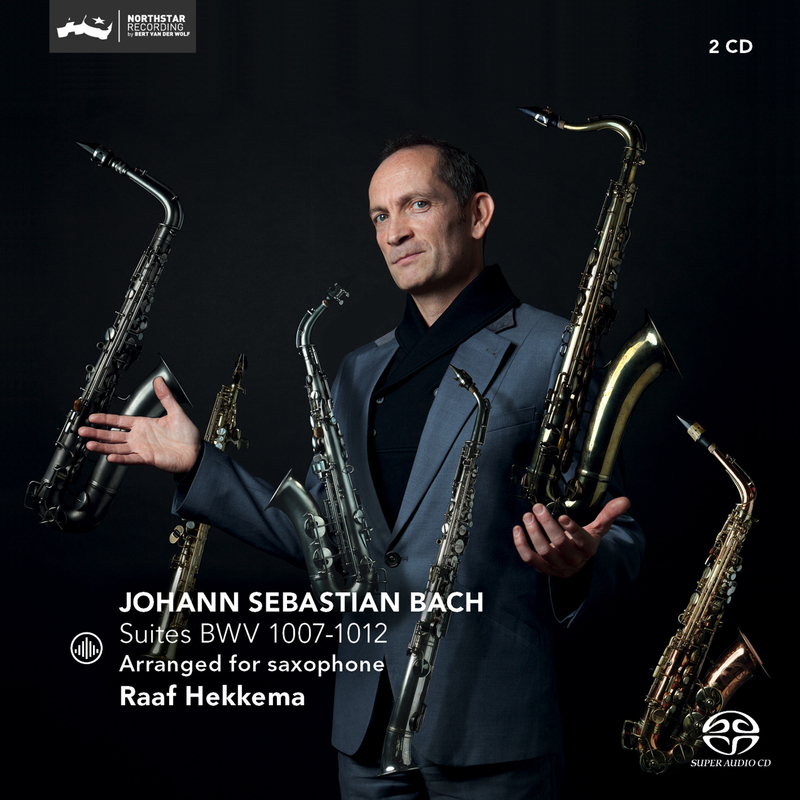 "Raaf Hekkema previously recorded Bach's Partitas on saxophone, which led to many positive reactions. Once again he has succeeded in surprising the listener." "Hekkema is a great musician who brings a 'monstre sacré' as Bach's suites for cello solo - the litmus test for every great cellist - to new life on an unusual instrument. It provides interesting perspectives because these works are so genius that they effortlessly exceed the limitations of the instruments. For short, a wonderful result." "A fascinating album in which Raaf Hekkema manages to approach the sound of the cello." Raaf Hekkema stays much closer to the original in his arrangements. This is very impressive and worth listening to in the fast movements. "His arrangement of the score is such that he kind of gives the impression of playing double stops. A technical tour the force. And as for breathing: it looks, or rather: sounds as though he has a quiet long pump providing from a side entrance all the air needed to do the job without bothering the listener with unwanted noises. Again, it all points at superb skill and masterly breath management." "Hekkema plays several saxophones on the CD. "I also wanted to explain the history of the saxophone and its builders through these cello suites." "Each of the suites is given a unique character through the operations. Very special, very broadening. A real must." "I also wanted to highlight the history of the saxophone and builders through the cello suites."